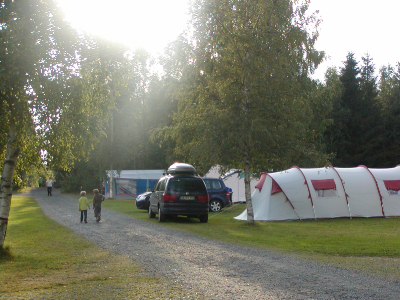 Camping Tiveden is a nice campsite surrounded by the wonderful nature of the National Park Tiveden, at the east shore of the clear lake Unden. 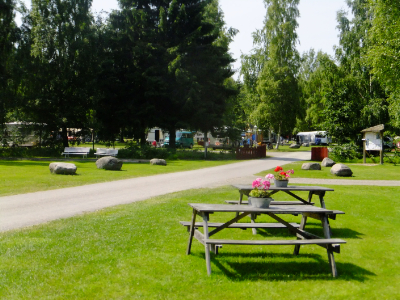 It has large grass areas for motorhomes, caravans and tents. 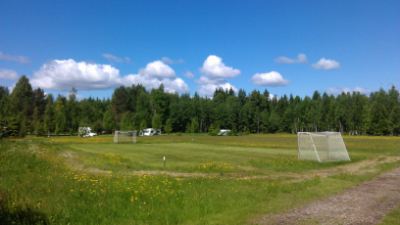 It also has a central playground-area for children. 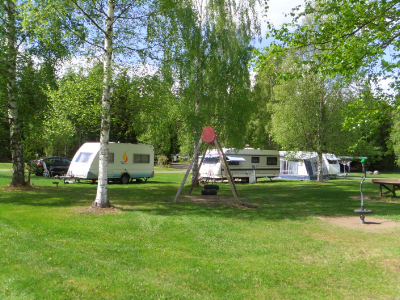 The campsite has approximately 75 pitches of which 65 have electrical hook-up. 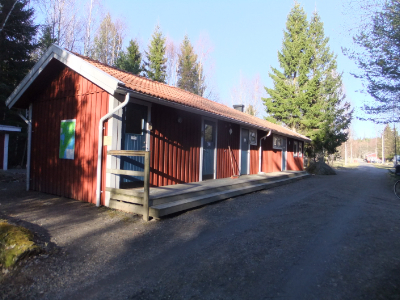 The toilet building has clean showers. 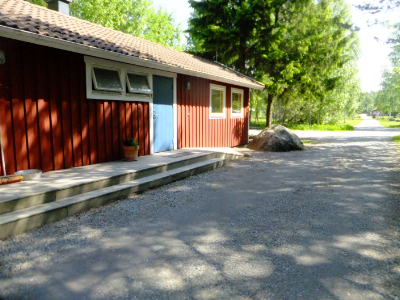 A kitchenette is found at the back of this building. 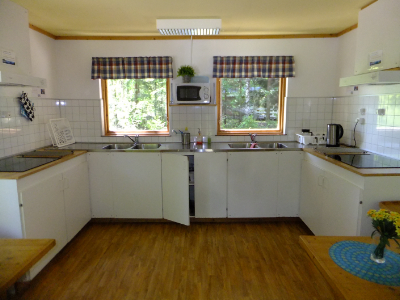 On the beach are grill facilities and a barbecue cottage that accomodates max 10 guests. 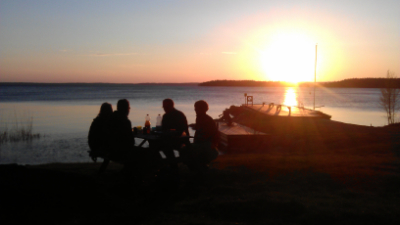 Having a barbecue at Unden sunset is like a dream! 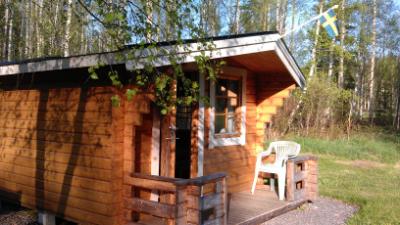 There also is a sauna, really relaxing! 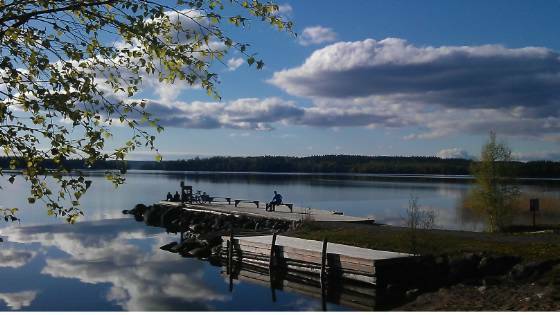 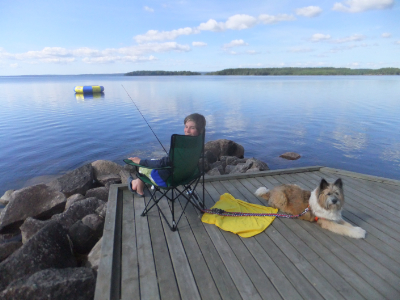 We can offer you opportunities to fish char, pike and perch in lake Unden and surrounding lakes. 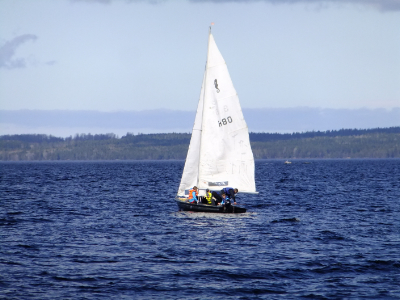 With a little luck and a suitable boat you might catch the biggest char of your life! 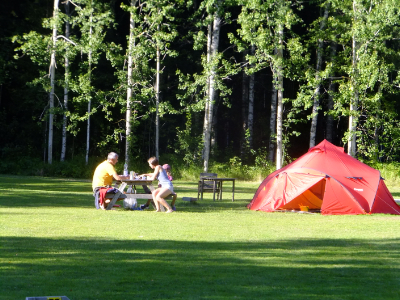 Fishing licenses for all lakes can be purchased at the campsite. 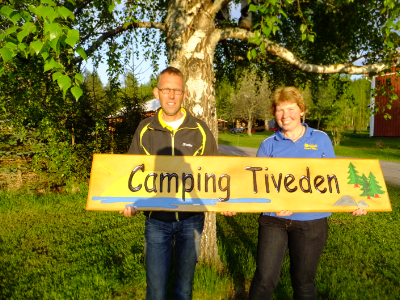 There is the Tivedens canoe trail, which starts in lake Bosjön and finishes at Camping Tiveden, about 15 km long, is a trip in beautiful and exiting surroundings. 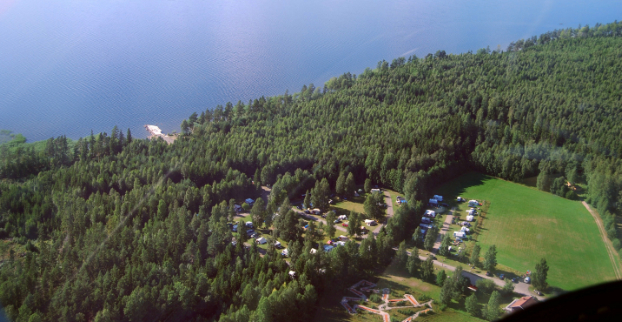 It is possible to swim at the campsite in one of the clearest water of Sweden. 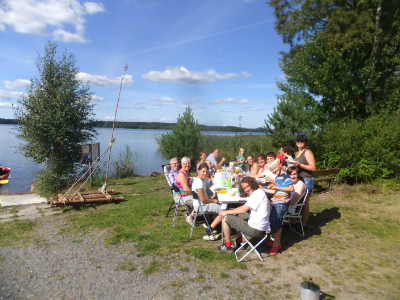 At lake Trehörningen, near Vitsand in Tivedens Nationalpark you find a sand- beach. 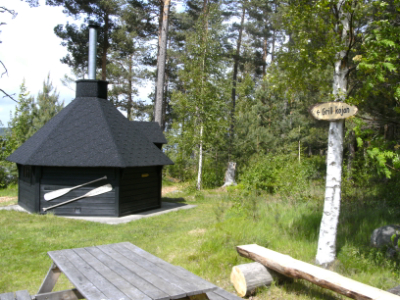 The Bergslagsleden trail is part of European hiking trail no. 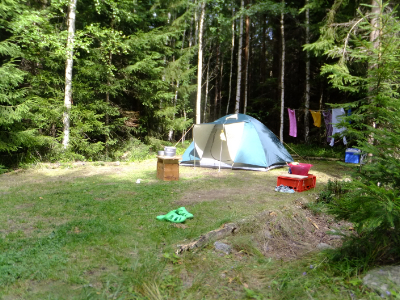 1, which stretches between Southern Italy to the Swedish mountains. 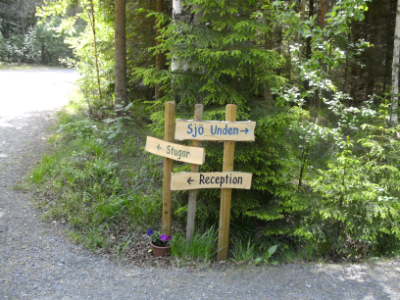 Stage 16 and 17 go through Tiveden. 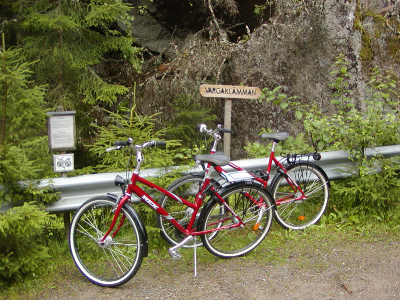 Also the Munkastigen trail is nearby. 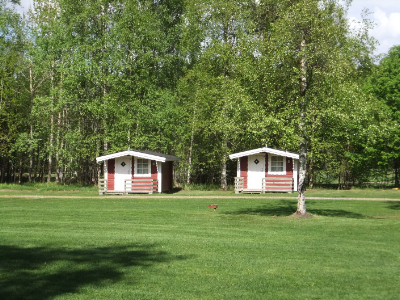 New long-distance footpaths from the campsite. 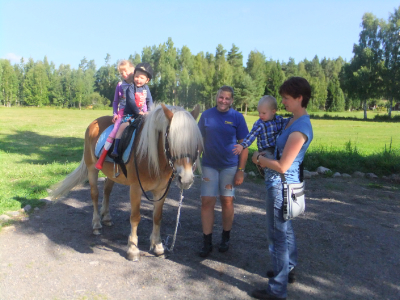 Riding for children and adults with guide. 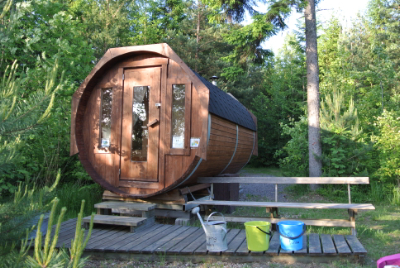 New bridleways by Ridleder Tiveden. 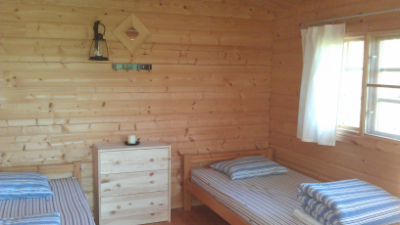 Suitable overnight accommodation available for horse and rider when you plan a ridingtour through Tiveden. 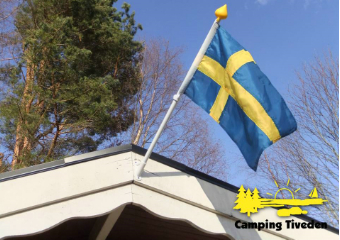 Recommendations to visit in the area are:Tivedstorp, Knight festival in Hova, the fortress in Karlsborg, jazzfestival in Askersund, Götacanal, Wadköping in Örebro. 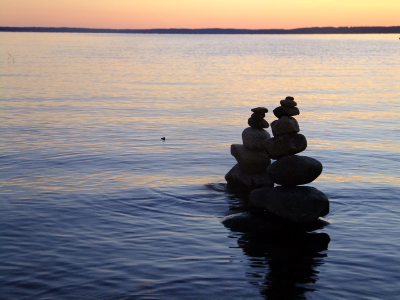 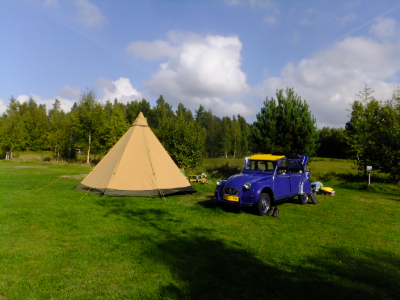 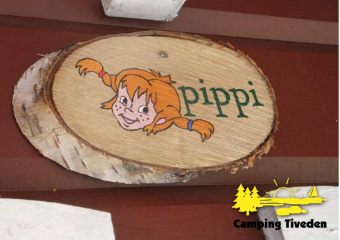 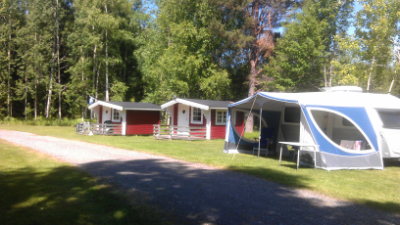 You will have a fabulous stay here at Camping Tiveden, situated right by the clear Lake Unden! 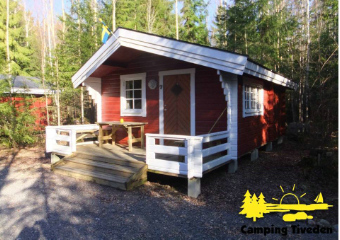 In addition to the camping pitches, we also offer 12 wonderful cottages where you can relax and enjoy nature and tranquillity. 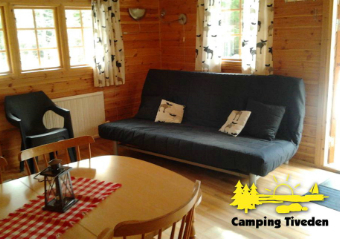 We offer various sizes and four different price groups, making it suitable for everyone! 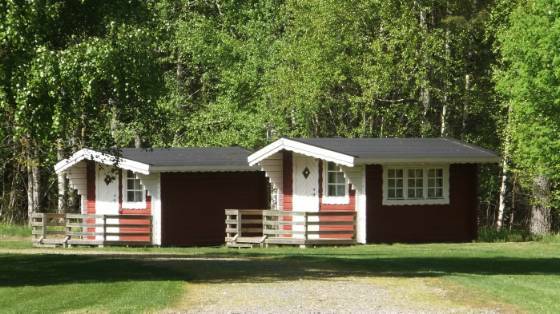 From our Basic cottages with beds only and shower/WC in the service building, to our Lyx cottages with shower, WC and equipped kitchen. 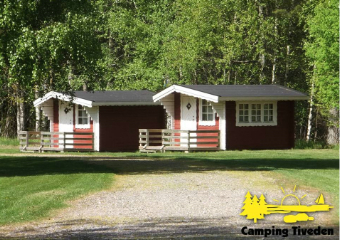 Bring your partner, your family, or rent side-by-side cottages with your best friends! 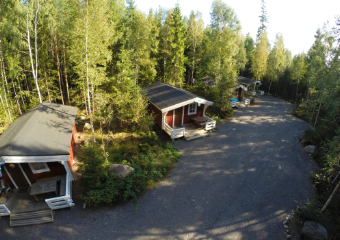 Our friendly greeting, the serenity and natural beauty of this spectacular and unspoilt area of Tiveden national park are yours to enjoy free of charge! 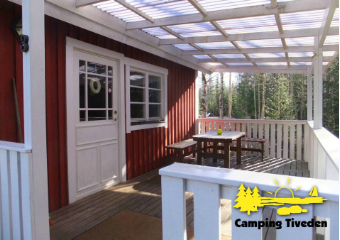 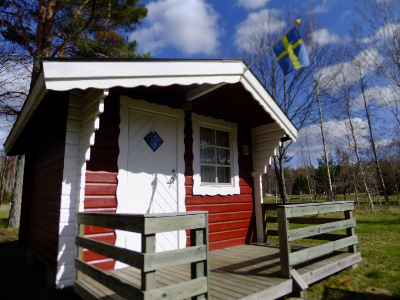 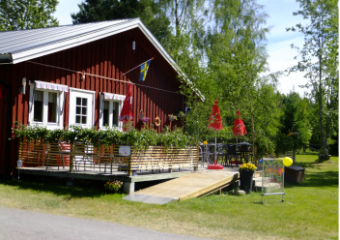 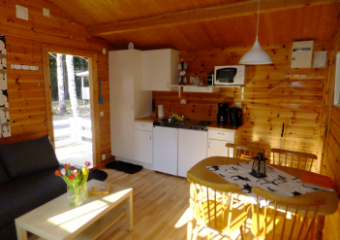 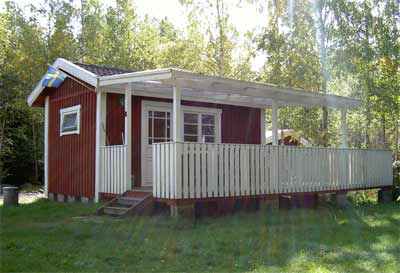 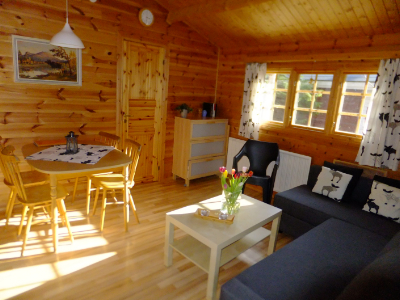 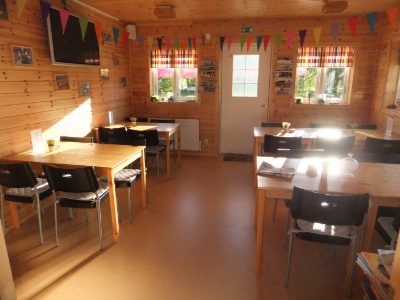 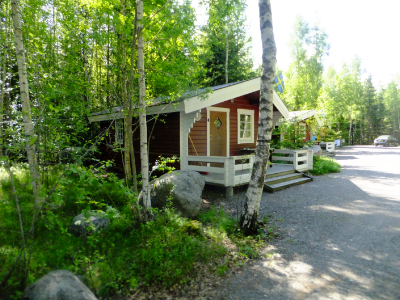 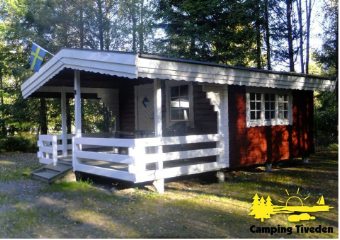 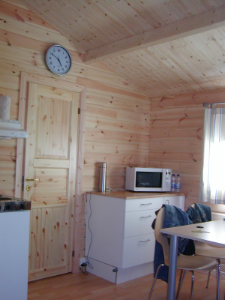 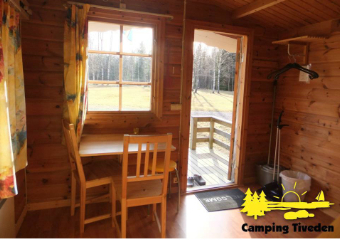 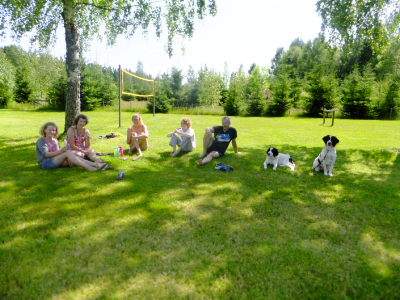 We invite you to book one of our typical Swedisch cabins, called 'stuga'. 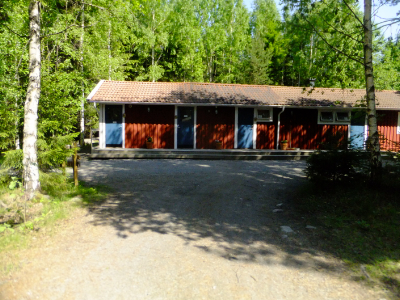 Close to the National Park Tiveden; an ancient area, virtually untouched by mankind, with valuable nature. 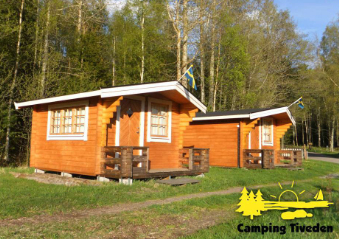 Here you can live well in different types of cabins. 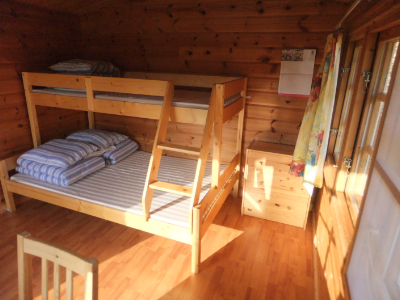 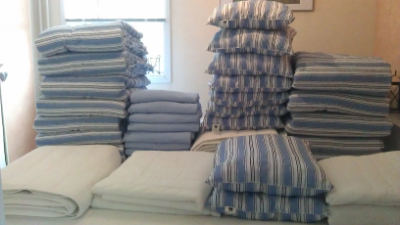 All cabins have mattresses, pillows and blankets. 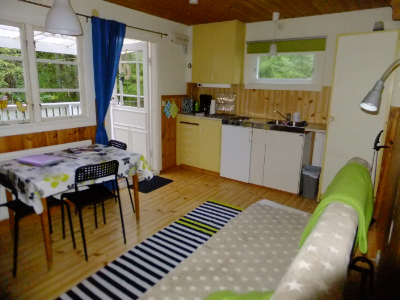 You can bring your own linen and towels, or you can book this.